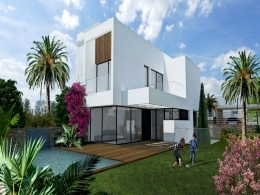 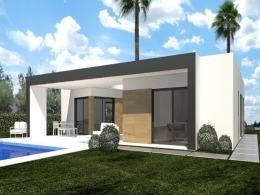 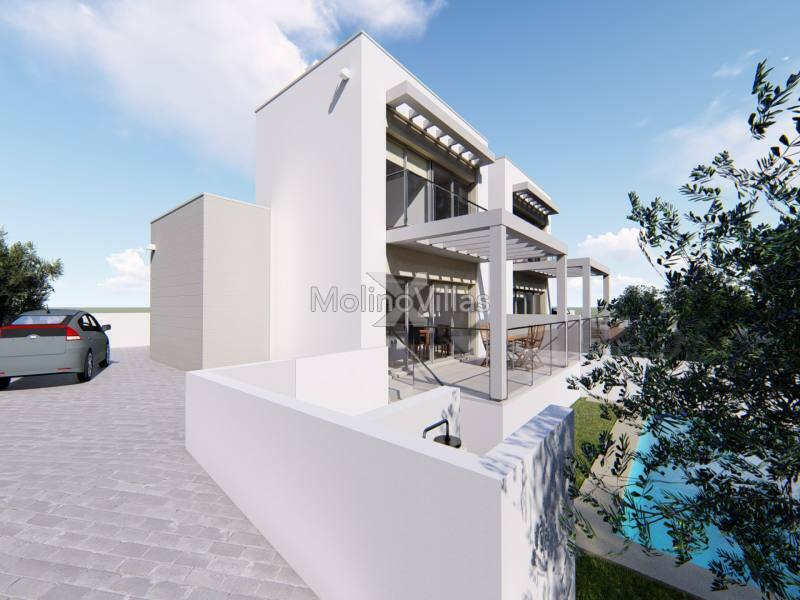 For Sale New Project to start in April 2019 semi-detached modern Villas on two floors near the centre of Moraira, consisting of one bedroom and one bathroom on the ground floor with an open plan living-dining and kitchen with access to the terrace with a few steps down to your own private 8x4 pool. 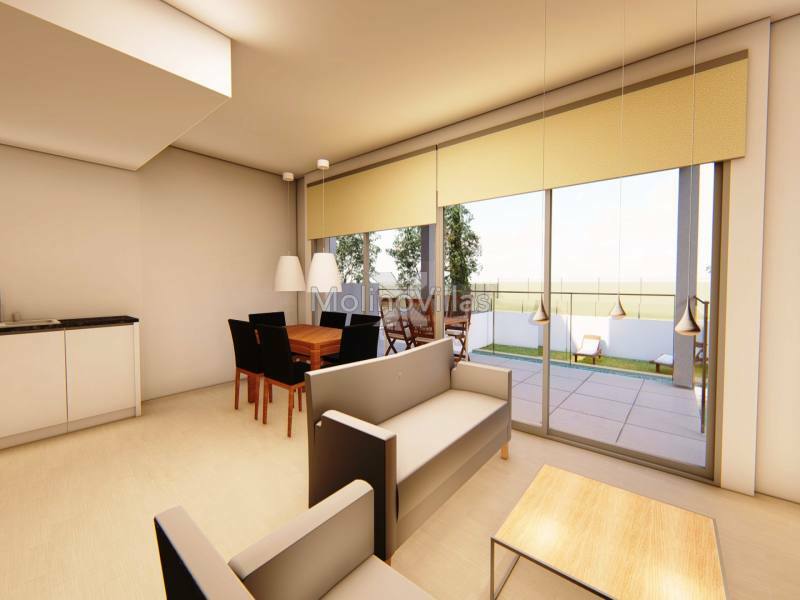 On the second floor, you have 2 double bedrooms with en-suite bathrooms. 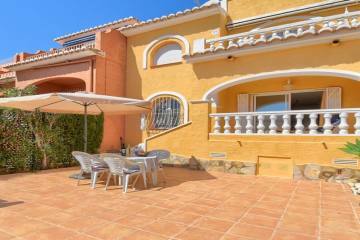 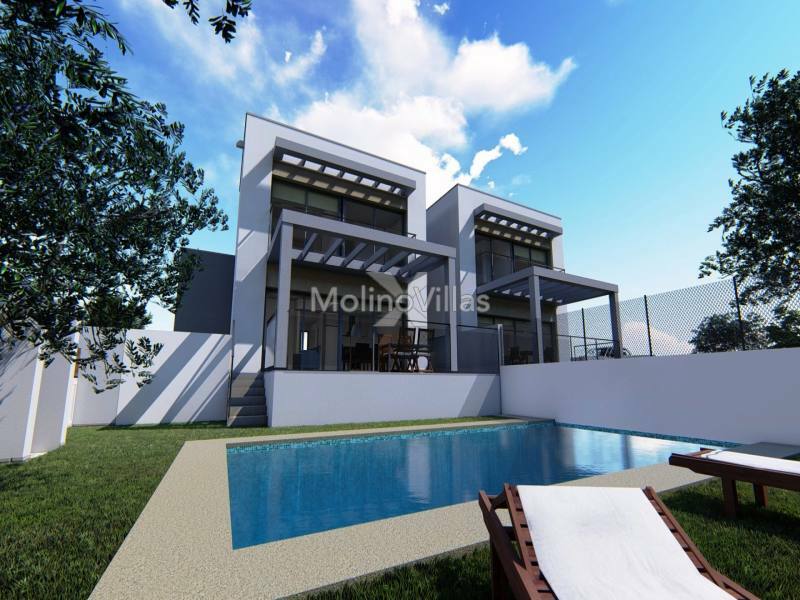 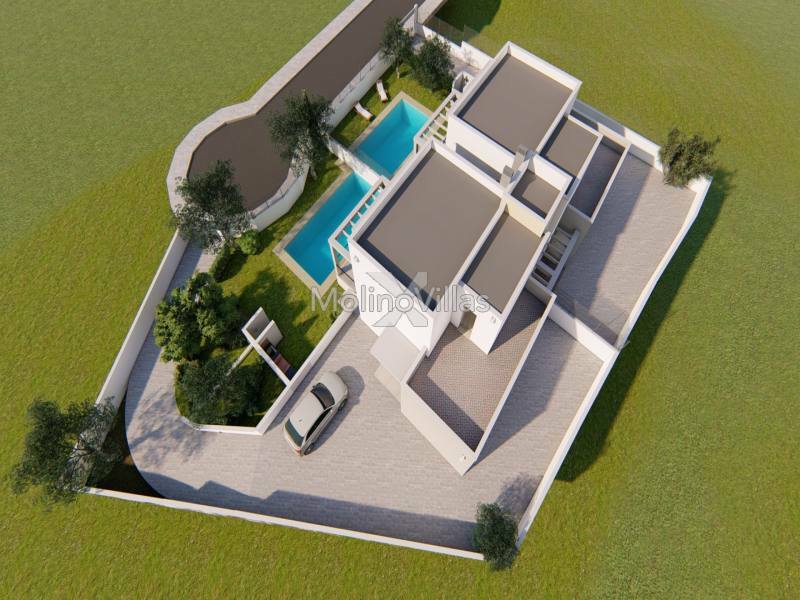 The outside area has an 81.65m2 private garden, an open terrace and a Pergola.